Usk taking its name from the river which runs through the town, and has an enviable reputation for its summer floral display and for its salmon fishing! But behind the hanging baskets and window boxes you will find antique and craft shops and numerous pubs, hotels, cafes and restaurants. We hope this guide will help you discover the best of Usk. Stay a while and enjoy the relaxing atmosphere of this pretty little town! If you need further assistance visit the Tourist Information Outlet located at Usk Rural Life Museum in New Market street which holds a selection of tourist literature as well as details of local accommodation. In its upper reaches the Usk river flows fast across rocks and through heavily wooded land. Although these are the most beautiful places to fish, it is often necessary to wade to avoid overhanging branches. 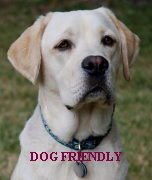 This can be dangerous if practised alone or without care and suitable precautions. Although much of the best fishing is private, it is usually possible to get some fishing by enquiring politely at the various farms and country houses along the length of the valley. The stretches at Penpont House, off the main A40 road West of Brecon, are particularly attractive. Cheap fishing is available in Brecon itself, although the river can be a little slow there. Further downstream, an excellent place to try is the Gliffaes Hotel , which has its own salmon and trout fishing on two and a half miles of the Usk. The interestingold hotel building is situated in beautiful large gardens, which are particularly stunning in May and June when the rhododendrons and azaleas come into flower. 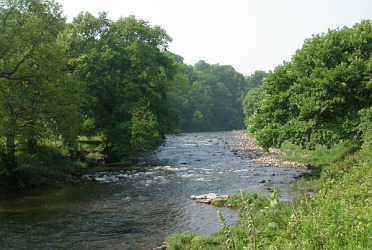 A little further downstream is the beautiful Glanusk Estate, which offers fishing and accommodation. There is some club water available in Crickhowell, which is well worth a visit in its own right. Usk The beautiful small border town of Usk first achieved prominence under the Romans,who built here the largest fort in Roman Britain between 55 AD and 66 AD. they called their villa-settlement and foundry Burrium and defended it with a great earthwork bank, parts of which can still be seen today. It had a garrison of 10,000, five times the population of modern Usk, Ruins of the fort have been found in recent years beneath the town's streets. Usk was also caught up in the wars that ravaged Gwent in the medieval era. The first castle at Usk was built by the Norman conqueror William FitzOsbern in the 11th century, but the town soon fell into the hands of the powerful Norman de Clares. 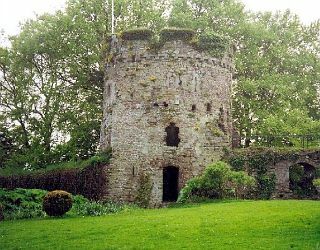 Gilbert de Clare built his own fortress at Usk as the Welsh revolted against Norman rule. Gilbert's son - Richard de Clare - was murdered by the Welsh prince Morgan of Caerleon, who seized Usk castle in 1138. The castle changed hands many times between the Welsh and marcher lords and the English king; Henry II held it for a while, but no assault is better or more tragically remembered than that of Owain Glyndwr. 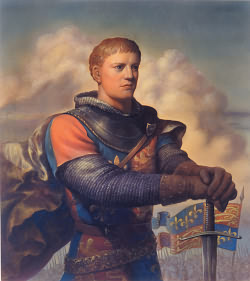 The young Harry of Monmouth, soon to be crowned as Henry V, had inflicted a series of crushing defeats on Owain Glyndwr. With a ruthless efficiency, the English army amassed around Usk in May 1405 to deal the final blow to Welsh hopes of freedom. Determined to seize the day, Glyndwr's son - Gruffydd - led an assault on Usk castle. The assault was doomed and easily repulsed by the English, who then pursued the fleeing Welsh army towards Mynnydd Pwll Melyn - the 'Hill of the Yellow Pool'. The Welsh regrouped, trying to fight off the English advance, but they were routed in a terrible battle and then chased through the forest of Monkswood. 1,500 Welsh rebels were killed that on the battlefield. One corpse in particular excited the English - they thought that they had found a slain Owain Glyndwr. But it was Tudur, Owain's brother, who had been killed. Owain also lost his son. Gruffydd was captured by the English and died held in the Tower. Usk Castle, built by the Normans in the 11th century, later became a Royal Castle, and was given to Catherine Parr (Henry VIII's sixth wife), by the King.In the 19th century Japan Ware made in Usk was highly prized and graced the tables of the French Court and the Duke of Wellington amongst others.